You don’t need to necessarily be the next Facebook or Twitter to have your idea funded. The entrepreneurial spirit and independent investing are alive and well in the world of crowdfunding. Crowdfunding allows budding start-up owners, artists and philanthropists to reach beyond their networks of friends and family and raise money for their projects, usually via online portals. One of the largest crowdfunding sites, Kickstarter, says that, since its launch in 2009, 5 million people have pledged $831 million, funding 50,000 creative projects. Indeed, crowdfunding is become so significant that MarketWatch is offering comprehensive data and pricing on crowd-financed projects . The crowdfunding most of us are familiar with is donation-based. All types of projects have asked for funding using this model, from a food start-up looking to develop a new line of hot sauces to a children’s choir that wants to travel and perform in New York City. A brave and sometimes dicey new world. With a donation-based approach, donors don’t own a piece of the project, but often there are rewards for different donation levels. For example: Donate $5 and get a shout-out on the project’s Facebook page; donate $50 and get a hot-sauce sample; or donate $1,000 and have dinner with the product’s creators. Keep in mind that when you donate to a crowdfunded project, it isn’t necessarily a tax-deductible donation. Only donating to organizations that are registered as 501(c)(3) nonprofits, or to people raising money for a 501(c)(3), may give you the eligibility for a tax write-off. Palmer turned to Indiegogo, one of the largest crowdfunding sites. “I used Indiegogo as my platform to get my message out there and help raise much-needed money,” says Palmer. “I know these funds are secure and safe and will get put into the right hands.” Palmer’s goal is $3,000, which will enable Rustic Pathways to provide 30 desks and chairs to the Fijian village. With this model, you are not donating for personal gain. The incentives are fun or helping a cause, such as, in Palmer’s case, providing a desk to a student thousands of miles away. You donate because it is a cause you believe in or involves people you like — or maybe a hot sauce you want to try. Newer to the scene is investment-based crowdfunding, where entrepreneurs launch broader, for-profit business ideas that you may want to invest in. 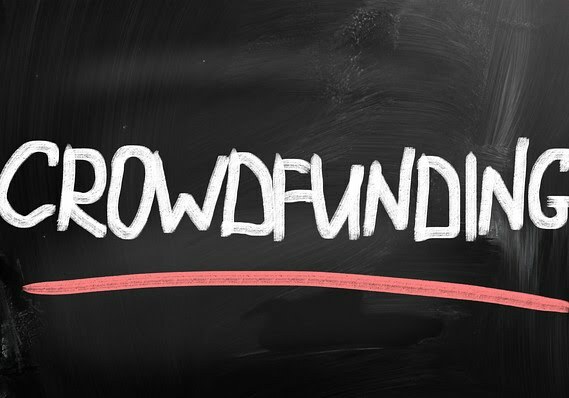 Under a law passed in 2012, the Securities and Exchange Commission is developing rules that will make it easier for small companies to sell shares via crowdfunding. DATA: More crowdfunding information and screening tools. There is also a recent trend of crowdfunding college costs or student loans. On websites like Upstart, backers can donate to someone’s education in exchange for a percentage of that person’s income after graduation. Traveling in 2014 can be cheaper and easier thanks to crowdfunding. Eva Tam tells how you can crowdfund your way around the world. The thing to remember is that just about anyone can create a project on these crowdfunding sites, so you have to be selective and vigilant. Some of these ventures bring in thousands or even millions of dollars. Anytime there is that much money on the table, rest assured there are skilled scammers who will go out of their way to make their illegitimate projects and profiles look legit. In fact, earlier this year, one large crowdfunding site almost handed over $120,000 to a fake Kobe-beef-jerky start-up. Fortunately, the company’s fraudulence was discovered before the funds were released, and the backers did not lose their money. Most crowdfunding pages will have a profile of the creator. Read the bio page and look for details that can be confirmed. Some will link you to personal websites or pages on social-media platforms like Facebook or LinkedIn. These details will help to confirm that people are actually who they say they are. You can even check with the Better Business Bureau to see if any reports have been made against the company you are considering investing in. Many crowdfunding sites release funds only if a threshold is met. So if an organization says it wants to raise $10,000, it doesn’t get any money until $10,000 or more is pledged. But don't think an organization is legit simply because other people have donated. For example, in the beef-jerky case there were more than 3,000 backers. In other words, the campaign convinced 3,000 people that the business was legitimate and had a great product to offer. That said, don’t let potential negatives outweigh the positives. Crowdfunding can be an excellent way for people to help finance a good idea or cause and possibly make some money in the process. Plus, you are keeping the American dream of entrepreneurship alive and well. Emmy Award-winning broadcast journalist, documentarian and author Jeanette Pavini covers consumer and investigative news for numerous publications, radio and television. Jeanette is based in the San Francisco Bay Area.